I am not surprised readers are “turned on” by social science. It is another example of our aphilosophical society. 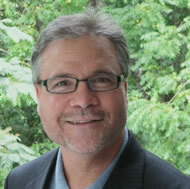 When I remind teachers and administrators that their own philosophy of education is the most powerful driver of their work; and when I tell them findings of psychological, sociological, and educational studies address the periphery of their work; it does not take long before they once again ask, “What does the research say about best practices?” They have been taught to believe in the social science improvement paradigm, even though few of them have ever applied research findings to their practice, or even know what that looks like. This blog uses the social science described in NurtureShock’s chapter 1 to argue that philosophy provides better child rearing guidance than either old or new social science. NurtureSchlock, Part 3 does the same with the science described in chapter 10. Chapters 1 and 10 are examples of how the book uses “the fascinating new science of children to reveal just how many of our bedrock assumptions about kids can no longer be counted on” (p. 6). Is this new science really so fascinating? Chapter 1, entitled “The Inverse Power of Praise,” argues that when it comes to building self-esteem and the belief that parents/teachers should praise children, “key twists” in social science studies were overlooked. The result was that we assumed (1) praise is good, (2) no praise is bad. Actually, human experience and common sense tell us the second of these assumptions is true, but the authors did not address this common sense assumption. Instead they described the misinterpretations of science that caused us to believe praise is good. Chapter 1 described how Carol Dweck’s recent findings corrected that errant assumption. But I get ahead of myself. Before examining the science described in chapter 1 we need to define what it means to be educated. A philosophical answer to this question is the essential first step that is overlooked throughout NurtureShock. Chapter 1 reported that Professor Carol Dweck and her associates conducted several experiments with New York City fifth-graders. The first explored the responses of two groups of students who were praised differently. In the next stage of the experiment, students were asked to choose between solving a set of puzzles that was more difficult and more educative; or taking a test that was like the first. The findings were that: “Of those praised for their effort, 90% chose the harder set of puzzles. Of those praised for their intelligence, a majority chose the easy test” (p. 14). Dweck ‘s analysis explained: “When we praise children for their intelligence, we tell them that this is the name of the game: look smart, don’t risk making mistakes.” Bronson and Merryman added, “And that’s what the fifth-graders had done. They’d chosen to look smart and avoid the risk of being embarrassed.” According to the authors, these findings correct the errant assumption that adults should promote self-esteem and praise children. But those who define “educated” as developing the six virtues don’t need experimental results to know what happens when one group of fifth graders is taught to be proud (praised for their intelligence), and another group is taught the value of strong character (praised for working hard). Common sense tells us that, all other things being equal, fifth-graders who are taught a vice (pride) will be less able to confront new situations than those who are taught a virtue (strong character). Dweck’s experimental result matches what is predicted by the six-virtue definition of the educated person. Teach children to be virtuous and they will be more able to confront new situations. Teach them to be vicious, and they will be less able, and less willing. Those who believe in the six-virtue definition of the educated person have never been persuaded that more praise is better than less praise because praise is NOT a central child rearing issue. The central issues are always the intellectual, character, and spiritual virtues children develop as they become educated. Dweck’s findings are simply evidence that promoting, modeling and teaching virtue is educative. Promoting, modeling and teaching vice is miseducative. Those who had been praised for their effort significantly improved on their first score — by about 30 percent. Those who’d been told they were smart did worse than they had at the very beginning–by about 20 percent (p. 15). Only by looking through a social science lens do these experiments explain “the inverse power of praise.” If we look through the lens of the six-virtue definition of the educated person, these experiments confirm the positive effects of teaching virtue and the negative effects of teaching vice. Furthermore, although I don’t need social science evidence, these studies provide evidence of the universal nature of this definition: “this effect of praise on performance held true for students of every socioeconomic class. It hit both boys and girls. . . ” (p. 15). A third experiment was conducted to study children in relation to a different variable. This is how social science works. Social scientists conduct different studies to isolate different variables. The next study isolated “students’ perceptions of whether their intelligence is innate or developed.” It was conducted by Dr. Lisa Blackwell, one of Dweck’s proteges. Junior high students were broken into two groups, both of which attended eight workshop sessions. According to Bronson and Merryman, “The control group was taught study skills, and the others got study skills and a special module on how intelligence is not innate. These students took turns reading aloud an essay on how the brain grows new neurons when challenged. They saw slides of the brain and acted out skits” (p. 17). It didn’t take long. The teachers–who hadn’t known which students had been assigned to which workshop–could pick out the students who had been taught that intelligence can be developed. They improved their study habits and grades. In a single semester, Blackwell reversed the students’ longtime trend of decreasing math grades. Believers in the six-virtue definition of the educated person expect that the test group would develop improved study habits, earn better grades, and be recognized by teachers because their imaginations were also engaged in the group activities. The differences between the two sets of group activities were significant because teaching and learning with imagination (the second virtue) is powerful. So these findings are not surprising to six virtue believers. In summary, believers in the six-virtue definition of the educated person don’t need any studies to tell them that teaching students to be proud is less educative than teaching them to work hard. They also don’t need studies to inform them that students who are taught to be imaginative, understanding, and hard working, will behave better and achieve more than those who are only taught to be understanding and hard working. 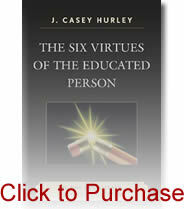 It is all part of the six virtue definition of the educated person. But…it sure is nice to have both the common sense, six virtues philosophy backed up by social science as your explanations reveal. Even though you may not need the science aspect to prove what you already know, it’s useful to have the science evidence to back up your philosophies when explaining them to others. It kind of made more sense to me when looking at the six virtues and comparing that set of beliefs with a social science experiment that basically proved the sis virtues philosophy. Yes David. At the end of Chapter 9 I ask readers to test the six-virtue philosophy in their own experience. I presented two hypothetical situations to show them how they might test it. The NurtureShock book provided another set of examples. The author’s social scientific explanations were like finger nails across the chalkboard to me. I wrote all over the book margins that the childrens’ behaviors were poorly explained by the social science, but beautifully explained by the six virtue philosophy. I love irony.